NASHVILLE, Tenn. -- Right now, several school districts in Tennessee are closed tomorrow due to widespread flu. The CDC says there have been more than 60 pediatric flu related deaths nationwide. Six children and one pregnant woman have died in Tennessee this flu season, according to the state health department. 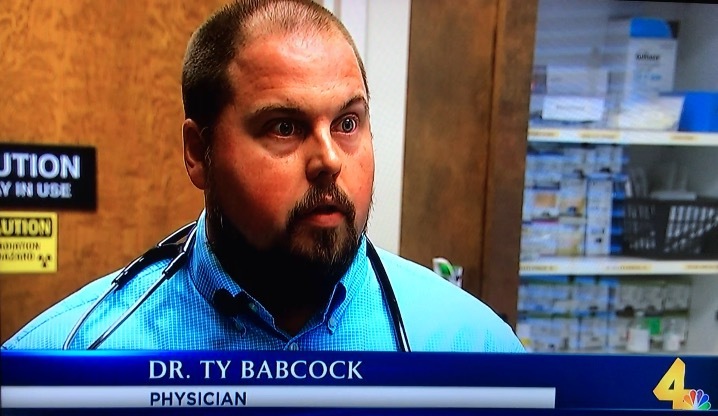 It's busy season for Dr. Ty Babcock with Physicians Urgent Care in the mid-state. The CDC latest data show the week of January 20, about 1 in 10 deaths for adults are due to pneumonia and influenza this year. Dr. Ty Babcock with Physicians Urgent Care says, "Big risks for secondary infection certainly bacterial infections, pneumonia is the big one we always worry about. I heard a term a called rebound flu recently on social media. Medically, I don't know what that is but I assume they're talking about is people trying to go back to work too soon, or try to keep pushing through the flu, or catch a secondary infection like pneumonia or sinus infection, ear infection and they suddenly get sicker for 4 or 5 days." Dr. Babcok says if you're still running a fever, you're still contagious. Take time to heal or it could take longer for you to feel...better. "There are a lot more people catching the flu, Just because you've had it once, doesn't mean you can't get it again. I 've actually diagnosed flu twice in the same patients a couple of times this year, so continue to use the same precautions," adds Dr. Babcock. NASHVILLE, Tenn. — A Mid-State employee opened up about what it was like missing a week of work with Influenza A.
Rachel Smith, 33, is finally nearing that 100 percent mark — that point after the flu where you finally feel like yourself again. ”I haven’t had the flu since I was 13," Smith said. 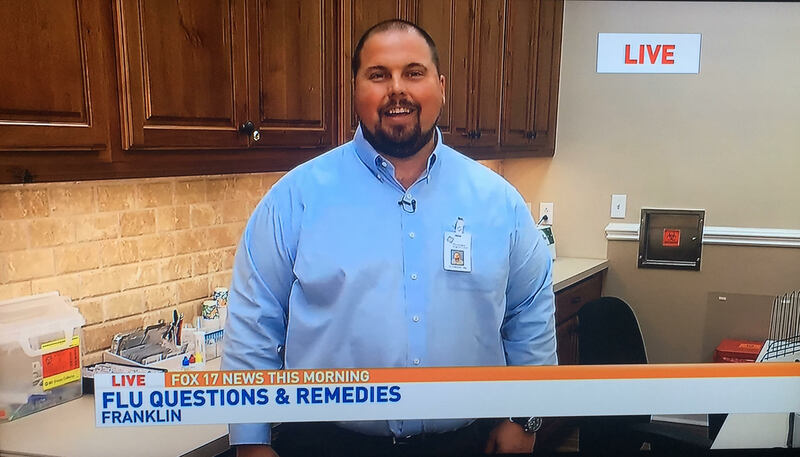 "I get the flu shot regularly, so to have to feel as bad as I did, practically laying down on my desk I just couldn’t move...It was surreal for me to have to call in and say I need help, I can’t, I’m not going to be there for I don’t know how long." Smith, who says she hardly gets sick, missed nearly a week of work because of the flu. "It just blows my mind because literally that’s not my norm," Smith said. "I wouldn’t say I’m 100 percent healthy. I have allergies, and have regular things living in the basin here, but the severeness of the flu...I would wish that on no one. It hurt." Across the country, people of all ages and medical backgrounds have contracted the Influenza A H3N2 strain. 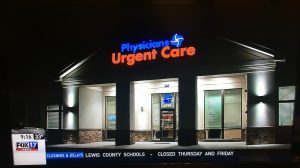 It's a strain that doctor Ty Babcock with Physicians Urgent Care in West Nashville says happens less frequently so that’s why this year has been more severe . “Anytime that more numbers of people are getting the flu, more people will die from the flu," Babcock said. "There have been some reported of middle age younger, healthier people who died, which happens every year." 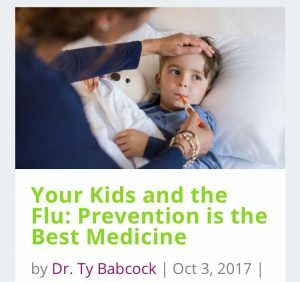 Dr. Babcock said people should take precautions even if they're had the flu before. “The flu is a severe disease, and you could be prone to catch it even if you don’t get one of the severe complications," Babcock said. "If you catch it, you’re probably going to be out of work for a week." 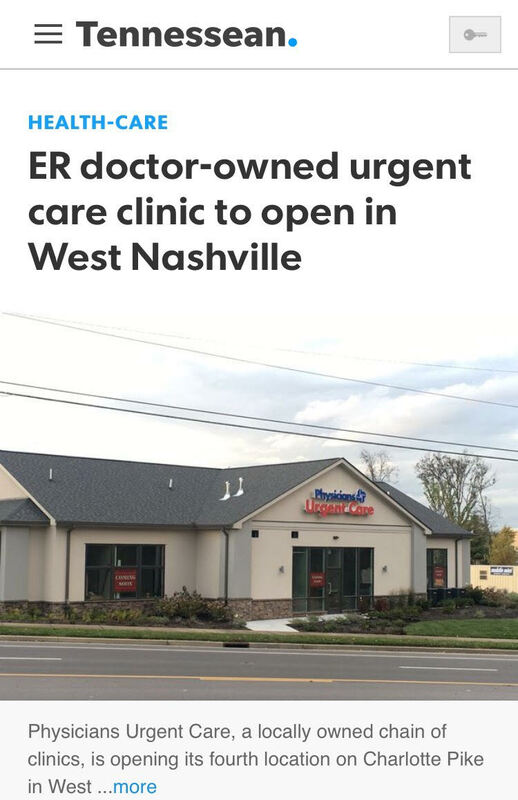 An urgent care clinic owned by local emergency room physicians is on track to open in West Nashville later this month. 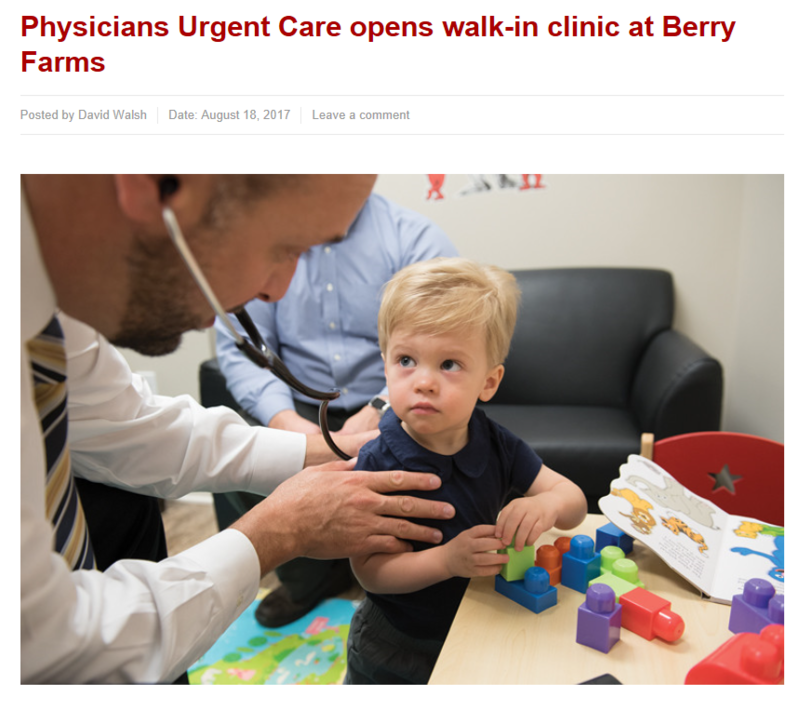 Physicians Urgent Care will be open seven days a week for people who need treatment for minor issues for which an emergency room trip is not necessary, said Dr. Ty Babcock, managing partner and one of seven physician co-owners. The Charlotte Pike location, part of the H.G. Hill Park phase of the Nashville West development, is the chain's fourth clinic — and a completely new market for the physicians. 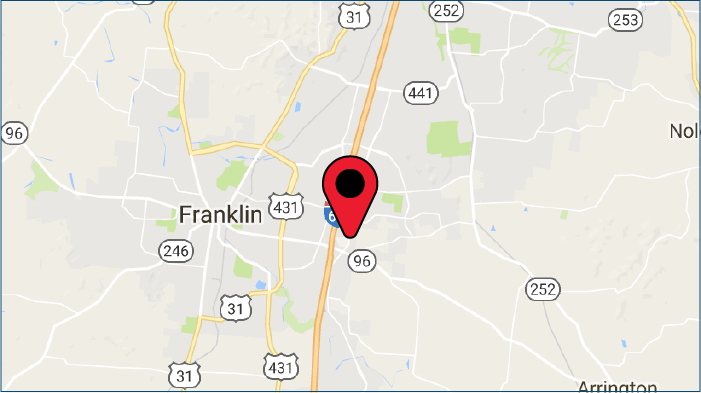 There are two in Franklin, the first of which opened in 2011, and one in Brentwood. 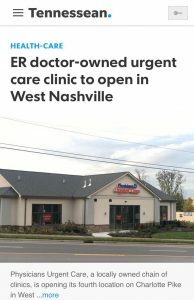 Babcock said West Nashville, where he lives, is ideal for a clinic because the area exploded in population and transformed in recent years. The team was looking for a place with visibility as well as easy parking and entry. The clinic will be in a standalone building visible from the road and the Nashville West shopping center. "We think it has the potential to be one of our busiest clinics," he said. The physicians who founded the chain wanted to give people who need quick care a venue other than the emergency room for a variety of problems, including broken bones, cuts that need stitches and the flu. Six of the seven co-owners work in Saint Thomas Health emergency rooms, although there is no affiliation between the clinics and the health system, said Babcock. People often visit when they couldn't get a timely appointment with their primary care provider or because they haven't been able to find a primary care office taking new patients, Babcock said. The clinic encourages people to follow up on issues with primary care and doesn't want to be a primary care provider, Babcock said. But the urgent care clinic wants to be a resource for people who need treatment. "I think there are enough people that we need more clinics,” said Babcock. "You don’t see too many urgent care or providers going out of business." With the increasing number of people in high deductible plans, there's a growing need for affordable places of care, he said. The clinics take most private insurance companies but not TennCare, and lists its self-pay prices online. Physicians Urgent Care will this fall open a clinic in the Nashville West shopping center on Charlotte Pike. 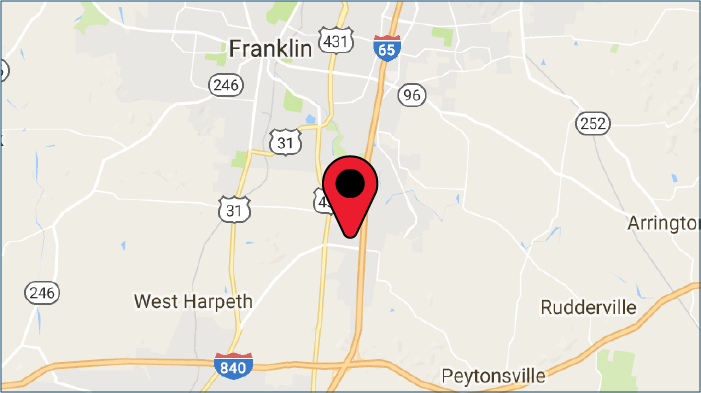 The location will be the six-year-old Franklin-based company’s fourth and its first north of Brentwood. 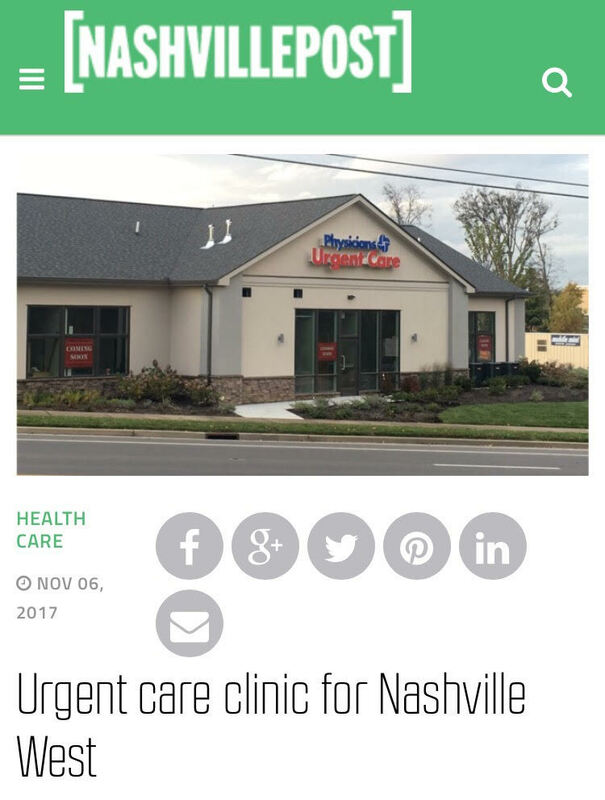 “My family and I are West Nashville residents, and we look forward to bringing our unique walk-in clinic concept to our neighbors,” said Ty Babcock, managing partner of Physicians Urgent Care. The Nashville West clinic will be in H.G. Hill Park, the newest phase of Nashville West that is anchored by the historic Richland log home. It will feature on-site X-ray capabilities, labs and procedure rooms to handle common illnesses and minor trauma cases. Traveling over the river and through the woods to grandmother’s house can expose your kids to lots and lots of germs. Think about all the things they’ll come in contact with — public bathrooms, airline food trays, remote controls, theater seat armrests, escalator handles, elevator buttons, shopping carts and more. Not to mention sneezing, coughing, runny-nosed cousins. All of these are breeding grounds for germs. And parents, here’s one for you — University of Arizona research found that 71% of gas pump handles are contaminated with germs that can make you ill. Since 80% of infections are spread by hand, the holiday season is a great time for parents to make sure kids wash their hands often and thoroughly, which is a proven healthy habit. Research has found that kids who wash their hands as least four times per day have 24% fewer sick days from colds, flu and similar illnesses and 51% fewer sick days from stomach ailments. So, when should kids wash their hands? Teach kids the right way to wash their hands and make it easy for them to do it themselves, like getting a step stool so little ones can reach the sink. And yes, there is a right way to wash, according to the CDC. Wet hands with clean running water, apply soap and lather by rubbing hands together with soap. Scrub all surfaces including palms, backs, fingers, between fingers and under nails. Keep scrubbing for at least 20 seconds (just hum “Happy Birthday” twice). Rinse under clean, running water and dry with a clean towel or air dryer. Of course, while you’re traveling you may not be able to wash hands at a sink, so carry anti-bacterial wipes with you. Make sure you find a brand that guarantees to kill 99.9 percent of germs and can serve as a hand and surface wipe. One more tip for keeping little hands germ-free. Instead of covering their mouths with their hands when they cough, teach kids to use their upper arm, kind of like Dracula holding his cape in front of his face. Happy holidays, and may your travels be safe and germ-free. NASHVILLE, Tenn.--With flu season upon us, the Tennessee Department of Health is calling on residents to get informed and vaccinated. The flu vaccine is already available at county health departments, medical clinics, and pharmacies. The TDH and the Centers for Disease Control and Prevention (CDC) advises everyone over six-months-old get the vaccine, as well as pregnant women. The CDC advises only getting the injectable vaccine and not nasal sprays. 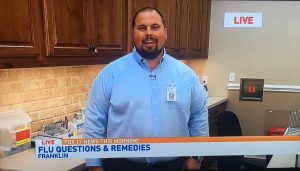 Brian Todd with the Tennessee Health Department says the biggest mistake made by residents is waiting too long to get the vaccine. Todd says it's common to see an uptick in flu cases in December when people increase travel for the holiday season. 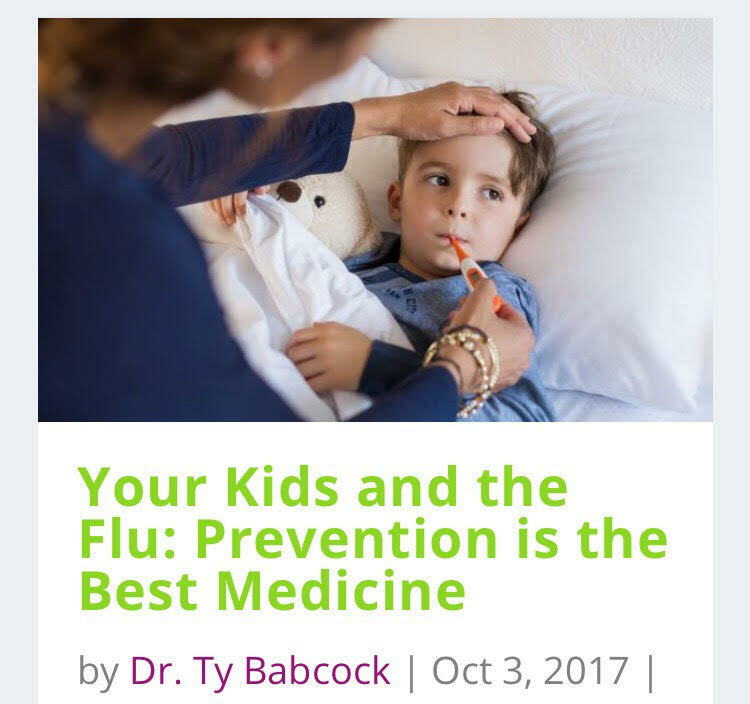 Click here to see one of Dr. Babcock's flu myth segments! Of course, the best way to fight the flu is to prevent it with a flu shot. The Centers for Disease Control says anyone six months and older should get one. Moms, don’t forget a flu shot for yourself, too. 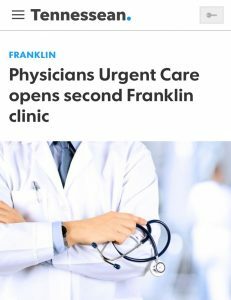 Franklin has gained another option for walk-in urgent care. 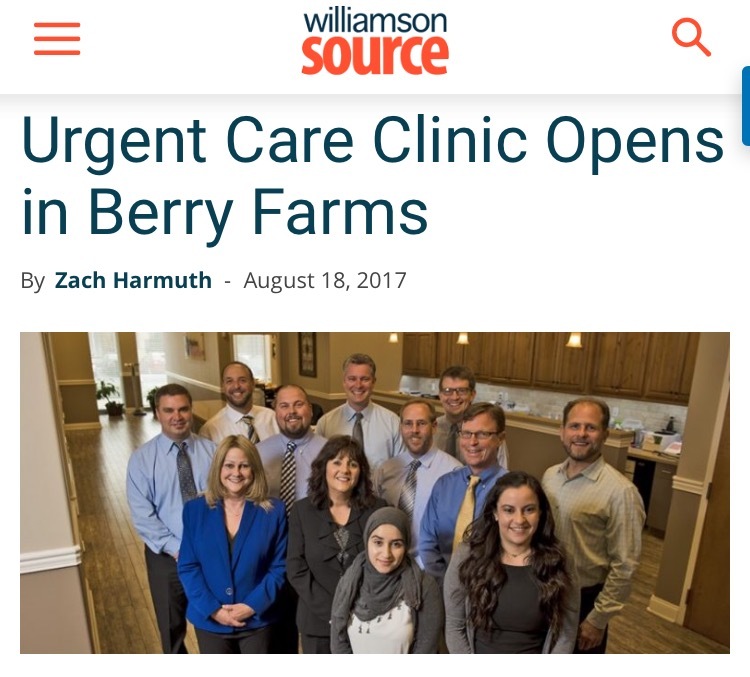 Physicians Urgent Care has opened a location in the Berry Farms development. 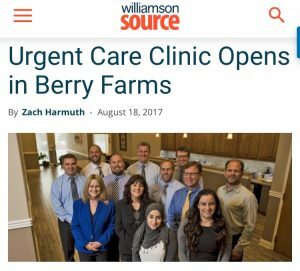 It is the clinic's second in Franklin and third in Williamson County, joining one in Brentwood. The urgent care clinic can handle most nonemergency needs, like common colds, as well as minor traumas such as sprains and dislocations. The clinic advertises a relaxed atmosphere offering soft drinks and snacks, as well as colorful and entertaining exam rooms to keep children comfortable. The clinic is at 5021 Hughes Crossing, Suite 165. It is open 8 a.m.-6 p.m. daily. Physicians Urgent Care, a group of walk-in clinics with care directed by emergency room physicians, has opened a new location in the Berry Farms Town Center, 5021 Hughes Crossing, Suite 165 in Franklin. Life is hectic. Work, kids, vacation, back-to-school, football parties, the list goes on and on. It’s hard enough to keep up with everything without the unexpected throwing off our daily to-do list. But life happens. Enter an injury at work, a child tumbling off a bike, or that nasty stomach bug, and our daily routine comes to a screeching halt. What to do? Where to go? You need help, and fast. 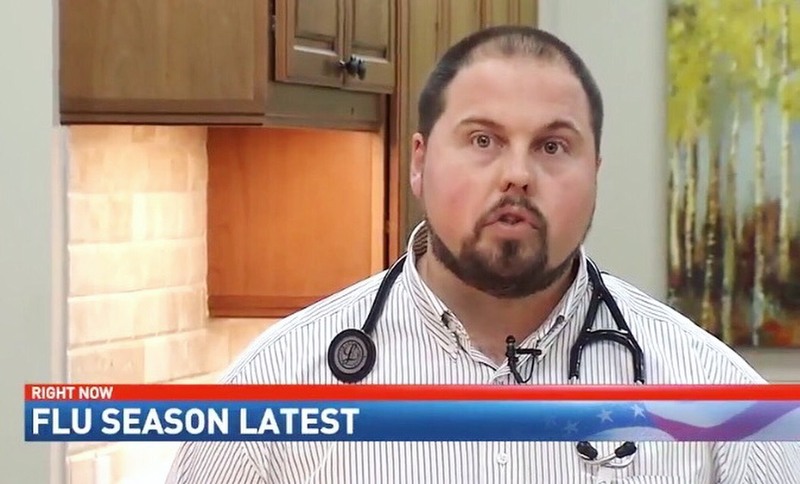 NASHVILLE, Tenn. (WKRN) – While your child getting sick may be the last thing on your mind as students head back to school, a Nashville doctor has some tips for when your children should stay home. 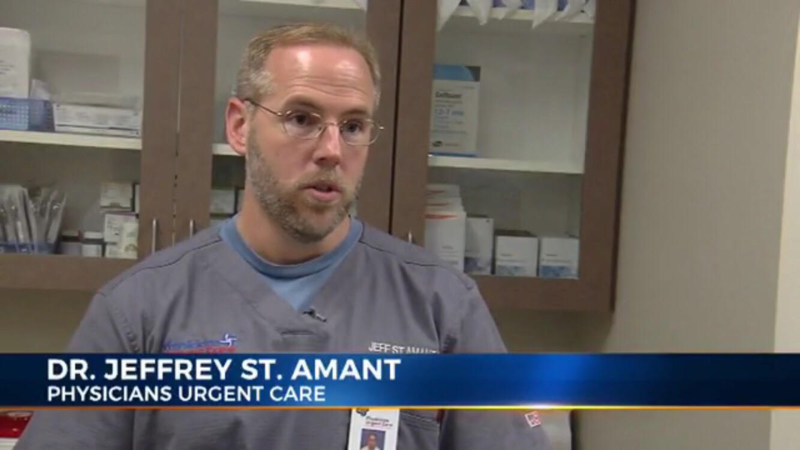 Dr. Jeffrey St. Amant told News 2 knowing when to keep your children home from school is a tough call. According to the doctor, anytime your child is acting strange and has a fever about 100 degrees they should stay home. 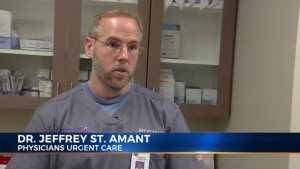 Dr. St. Amant also said your child should see a doctor if they have a fever for more than three days. It's a disease that can be deadly if left untreated. Rocky Mountain spotted fever cases are popping up across the Midstate. It's caused by ticks. Doctors are seeing more reported cases of tick-borne illnesses as we enter the summer months. Many experts are pointing to a warmer winter, saying the tick population didn't die off. Once the weather started warming up, the ticks were on the move. Amy Dismukes is an entomologist with the University of Tennessee. She's also currently recovering from Lyme disease. Dismukes said she's heard of several cases of not only Lyme disease, but Rocky Mountain spotted fever. 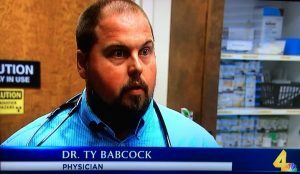 Dr. Ty Babcock is an urgent care physician. He diagnosed his first case of Lyme disease in February, several months earlier than usual. Lyme disease and Rocky Mountain spotted fever are bacterial infections spread by ticks. The disease is only transmitted through a tick bite, and is treated with antibiotics. Rocky Mountain spotted fever also brings flu-like symptoms including fatigue, severe headache and a high fever. Only 25 percent of the people who are treated for Lyme disease or Rocky Mountain spotted fever actually remember being bit by a tick. If you're having flu-like symptoms, doctors say get checked out. 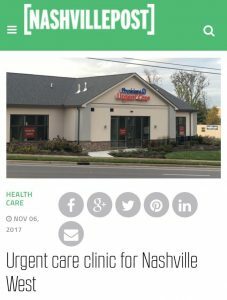 "Physicians Urgent Care recently opened its second clinic, located on Old Hickory Boulevard in Brentwood. 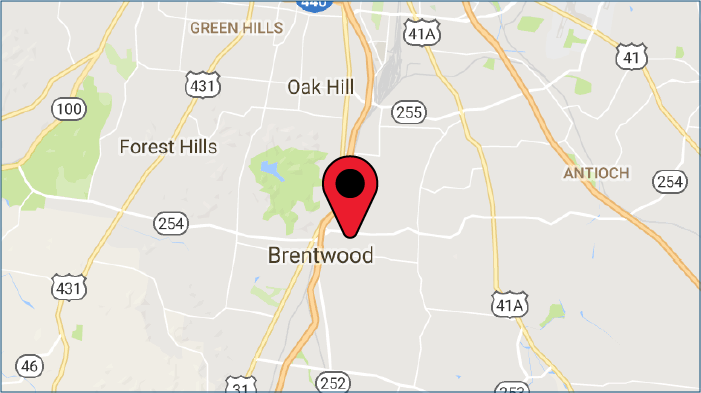 Now you can get care - in either their Brentwood or Franklin clinics - without the long wait or impersonal atmosphere associated with most hospital emergency room settings." Read More. What do you get when six Emergency Room physicians who share a common vision for how patients should be cared for join forces? See the answer on our recent PR Web press release. We are so excited to announce that 6 of our physicians have been nominated as Favorite Docs by Nashville Parenting Magazine. See page 53 of the June 2013 issue.